Jay Bowen's stock picking has made the Tampa Firefighters and Police Officers Pension Fund one of the best-performing public pensions in the U.S. Some retired cops and firefighters attend pension board meetings to catch a glimpse of the money manager they consider their own Warren Buffett. But in the hypercompetitive industry of pension fund investing, Mr. Bowen is an anomaly. The 51-year-old is the fund's lone money manager, an unusual arrangement for a retirement system with $1.6 billion in assets. "There is really nothing like this arrangement in the country,'' says Mr. Bowen of the Tampa, Fla., fund, which is by far his largest client. The Tampa pension's chairman, Richard Griner, says pension managers he meets at industry conferences are shocked when he tells them that his fund is betting the house on Mr. Bowen. 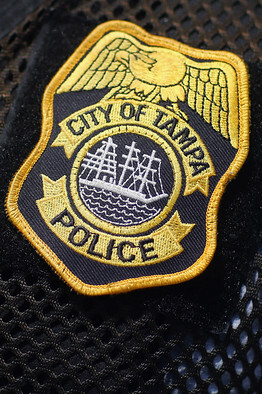 "But when I show them my results they pretty much shut up,'' says Mr. Griner, a Tampa Police detective. "The numbers don't lie." He's beating most of the big players. The retirement fund is funded at about 90%, according the article. This is well above the 80% range generally considered healthy. There are some risks given the fund is managed by such a small firm, and their luck could turn. Of course, a guy from the SEC suggested the fund needs further oversight by regulators. But let's acknowledge some good numbers... and some good news for Tampa! An opposing view (not saying this is right) is presented here. I think the lack of transparency is troubling. There is some risk of this being a Ponzi Scheme with the red flags mentioned. The returns look reasonable to me (but if I was running a Ponzi scheme, I would post reasonable returns). He does raise some interesting questions... which is the point of this blog, to expose the understory that is not being told, in search of the truth. Maybe their track record is just good. Mr. Bowen seems to be making appropriate decisions since the 70s and the pension board members who have represented the members of fire and police have been honest and worked to produce the best pension fund possible. Just maybe Mr. Bowen is an honest hardworking manager who takes pride in doing the best job he can do for his clients. And just Maybe the big boys just wish they could do as well. Maybe? Just maybe - I know in this day and time it is difficult to believe - but just maybe that is the case. If you look at the results, they are pretty good, but not worth the risk of it being a ponzi scheme. They should diversify their investments, even if it means giving up a point of returns.